Many new gun owners seem to be a bit confused about the role that classes designed to facilitate the issuing of concealed-carry licenses play in this whole business of personal defense. The purpose of these classes is to make the applicant aware of state laws regarding the use of deadly force and when and where a person can carry their defensive firearm. The shooting portion of the class, if there is one, is to determine if the applicant is safe enough with a firearm to carry it. Just about every single concealed-carry instructor can regale us with stories about students who think that the purpose of the licensing class is to teach them how to shoot a handgun. Some arrive at the class with a handgun that has never been taken out of the box, a gun that they don’t know how to load, let alone operate properly and safely. Most of the instructors I know do a yeoman’s job of getting the folks that come to them for instruction fully qualified. The point many of these new people miss is that the licensing class is just the beginning of their personal-defense education. Knowing the law is certainly important and a person should continue to study so that he or she has the most complete understanding possible. But the typical class addresses when the defensive firearm can be used; it doesn’t usually address how that defensive firearm can be most effectively used to save lives. That is a very important difference. 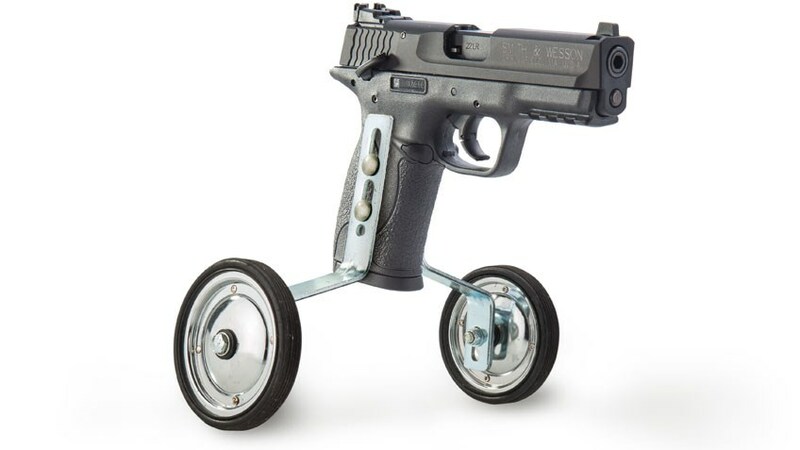 If a person takes the right to carry a defensive handgun seriously, he or she understands the need for expert training in how to fight with that firearm. They should understand that no single class is going to qualify them as any sort of an expert on the subject. They should understand that a truly qualified instructor has spent years developing his knowledge and skills. And there is simply no way that this instructor can impart all the knowledge, or even a significant part of it, in one class. The smart thing to do is to look at personal-defense training the same way that we approach our continuing-education classes in our chosen field of work. We periodically go back for refresher courses and to learn new skills. A person can certainly reach a point, fairly quickly, when they know how to properly handle their chosen defensive firearm and develop the necessary marksmanship skills. On the other hand, learning defensive tactics—how to fight with the handgun—takes much, much more time, training and study. Frankly, a serious study of personal-defensive techniques can be expensive. Now, it is difficult for me to be very sympathetic with those who will spend several thousand dollars on a two-week vacation, but cry about the cost of defensive training. In my view, they just don’t have their priorities in the proper order. But, there are those who are on a tight budget who have a legitimate concern. Some will start savings accounts specifically designed to pay for their trip to a major defensive school and I have met many of those folks at Gunsite, Thunder Ranch and other well-known academies. They understand the seriousness of their defensive undertaking and they are willing to make personal sacrifices to get the training that they consider important. But there are other ways to get started down the road to serious defensive training. One has to look no further than the National Rifle Association to find instructors in your general area who teach classes in personal defense. In addition to these instructors, the NRA’s Whittington Center offers classes throughout the year that offer training in the defensive handgun, carbine, and shotgun. By comparison, these classes through the NRA are generally less expensive and will get the student started in the right direction. 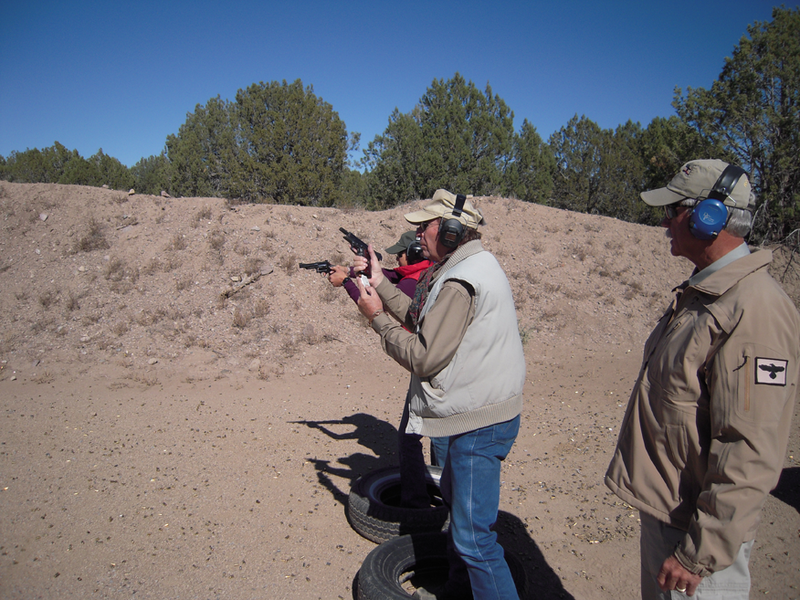 Another less-expensive option is to bring a guest instructor in and hold a class at your local gun range. There are a number of very qualified defensive instructors who travel around the country teaching such classes. And, instead of spending several thousand dollars for a week-long class, a person will spend several hundred dollars, sometimes less. Another value for the defensive student is to take classes from a variety of instructors. Different instructors may use different terminology and often teach different techniques. But it will be the rare class that the student doesn’t get his money’s worth in terms of valuable techniques and training that can save a life. The new concealed-carry license holder needs to determine if this is a hobby or a lifetime commitment. In my view, it should be the latter due to the seriousness of the undertaking. And, when a person is serious about defensive training, they will learn to make the system work to their benefit. They will get as much variety in continued training to learn different ideas and techniques and find ways to budget defensive training funds to make them stretch as far as possible. If they can’t go to the professional trainer, they will find ways to bring the professional trainer to them. We don’t give up because of time constraints or financial constraints if we really want to accomplish an important goal. It is my right to own and use firearms. It is also my right to get as good with those firearms as I am possibly able through quality instruction, specialized training, and purposeful practice. I intend to exercise both of those rights to the fullest extent that I am able. How about you? This post was first published in Shooting Illustrated. This entry was posted in Concealed Carry, Personal Defense, Training, Uncategorized and tagged combat mindset, concealed carry, gun safety, gunsite, thunder ranch. Bookmark the permalink.